Boat Houses Archives - Hugh Lofting Timber Framing Inc.
Hugh Lofting Timber Framing Inc.
Company recognized by Passive House Institute US as one of only seven Certified PHIUS Builders in Pennsylvania; passive house project underway in West Chester, Pa.
Hugh Lofting Timber Framing, Inc. has been recognized by the Passive House Institute US as a PHIUS Certified Builder, and has a passive house under construction in West Chester, Pa. The PHIUS designation means the company understands passive house principles, has mastered craftsmanship techniques specific to passive houses, and can meet challenges specific to the North American climate. A passive house achieves overall energy savings of 60-70 percent through super-insulation and airtight building envelopes, highly efficient HVAC systems or energy recovery ventilation, high-performance windows, and moisture control. Passive construction does not employ active technologies such as photovoltaics, and can thereby be less expensive when the principles are used alone. According to the U.S. Department of Energy’s Challenge Home program, passive and active design principles used together can be the best direction toward Net Zero houses. A passive house is heated primarily by passive solar gain and by internal gains from people and electrical equipment. Energy loss is minimized through super-insulation and an airtight building envelope. Shading and window orientation help to avoid heat gain, which limits cooling loads. Superior air quality and comfort are accomplished with a heat/energy recovery ventilator. PHIUS Certified Builders have passed a four-day training program and a written exam. 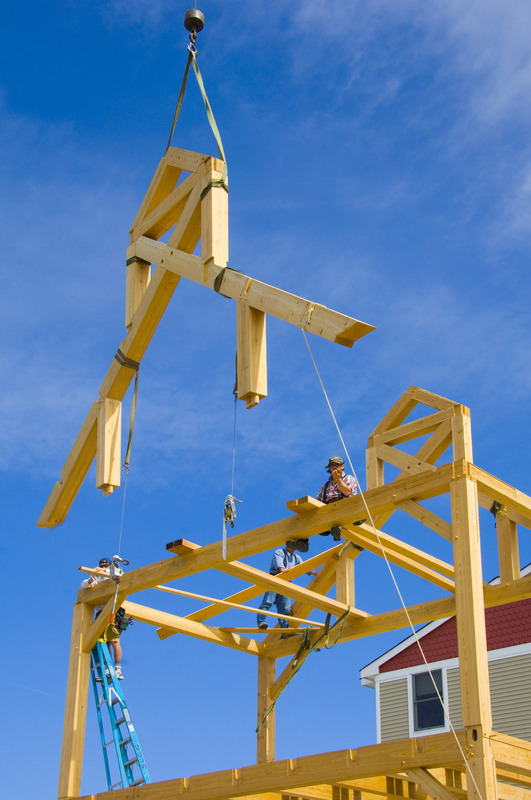 There are 45 PHIUS Certified Builders in the U.S. Hugh Lofting Timber Framing, Inc. is one of seven in Pennsylvania. Hugh Lofting Timber Framing presently has a passive house in construction in West Chester, Pa. To find out more on this project, visit the owner’s blog The Winding Path to a Simple Home. The 2,000-square-foot residence includes high-performance Intus windows and a super-insulated structure. Completion is planned for early 2014. The house will stand as a local example of passive house techniques blended with timber frame craftsmanship. Passive House Institute US is a registered 501(c)3. The organization’s goal is to build a network of other organizations and individuals to share expertise, resources, and effort toward goals of energy conservation, sustainability, smart growth, systems thinking in design, and a higher quality of life for all. For more information visit http://www.passivehouse.us. How Much Does a Timber Frame Cost? There is no easy answer to this question because there are so many factors that go into the price of a timber frame. For example, the timber species, complexity and even the type of joinery can greatly alter the price of a timber frame. 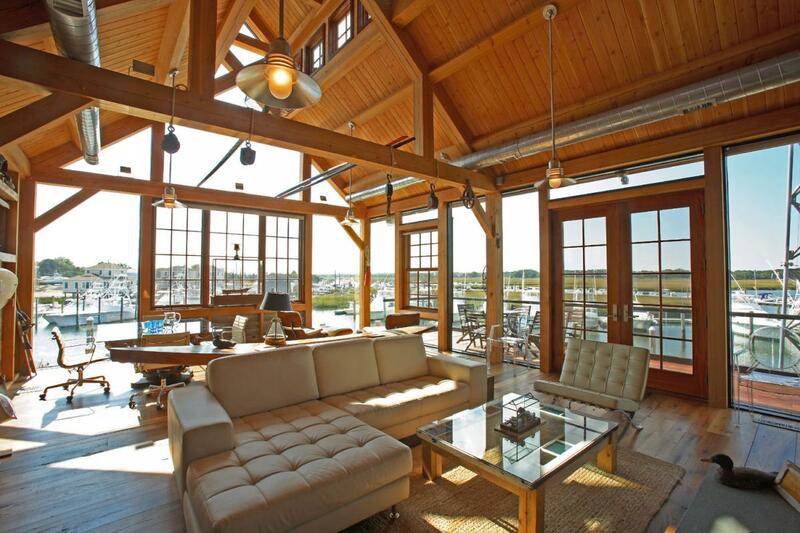 These factors put the cost of a timber frame in the range of $50,000 to $500,000 and up. Typical residential customers usually spend around $75,000-$200,000 for an addition, $50,000-$250,000 for a barn, $9,000-$50,000 for a pergola and specialty projects can be anywhere on that spectrum. 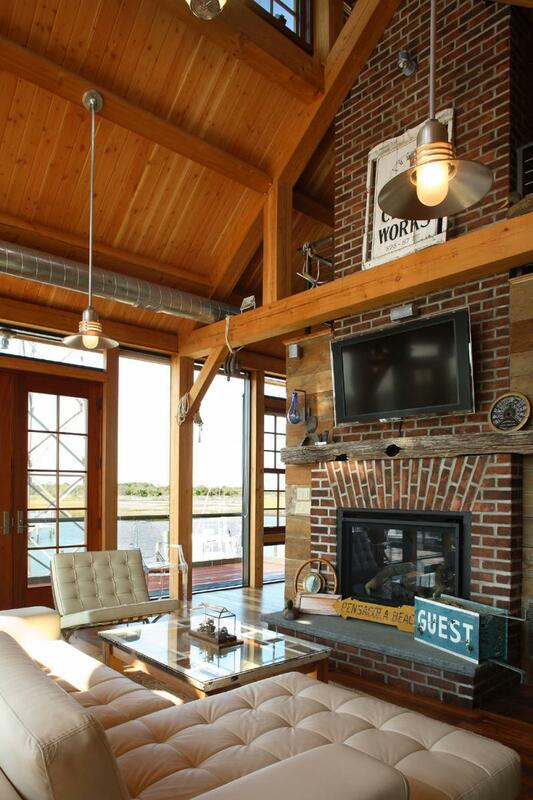 Harkening back to the coastal New England architecture of the late 1800 and early 1900’s, the boat house is designed with a full length monitor to allow natural light to fall throughout the interior spaces and is finished with period interior and exterior finishes. The timber frame is constructed of band sawn, standing dead Larch that was salvaged from the forests of Canada and was left untreated to allow the natural warmth of the wood to show. With time, the larch will mellow and grey. 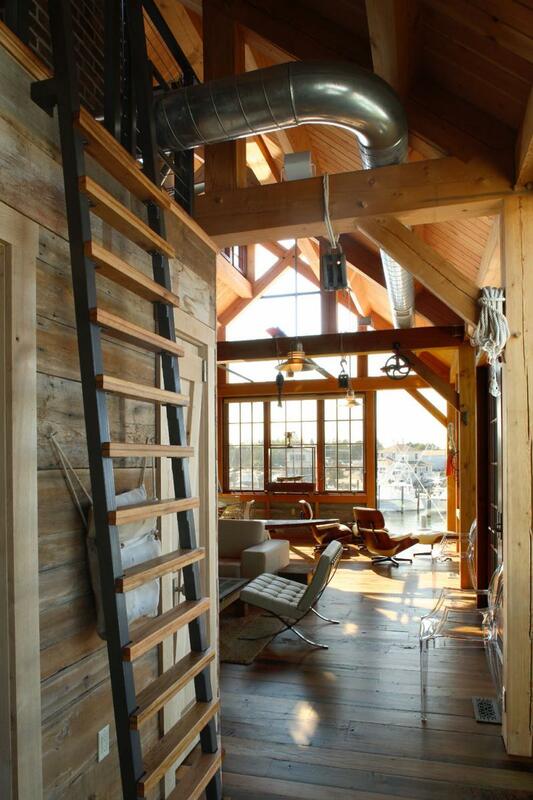 Flooring and interior siding are reclaimed oak and pine from Pennsylvania barns. The interior roof sheathing and exposed sub-flooring is 1×6 tongue and groove Forest Stewardship Certified® (FSC®) Douglas Fir. The timber frame was clad with structural insulated panels (SIP’s) to provide significant R-value insulation on the roof and walls. 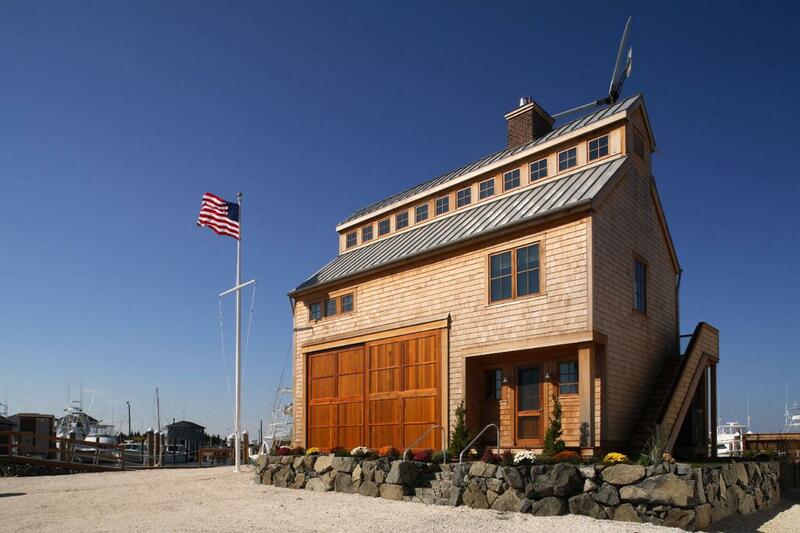 Cedar shakes and a standing seam metal roof complete the exterior finishes. 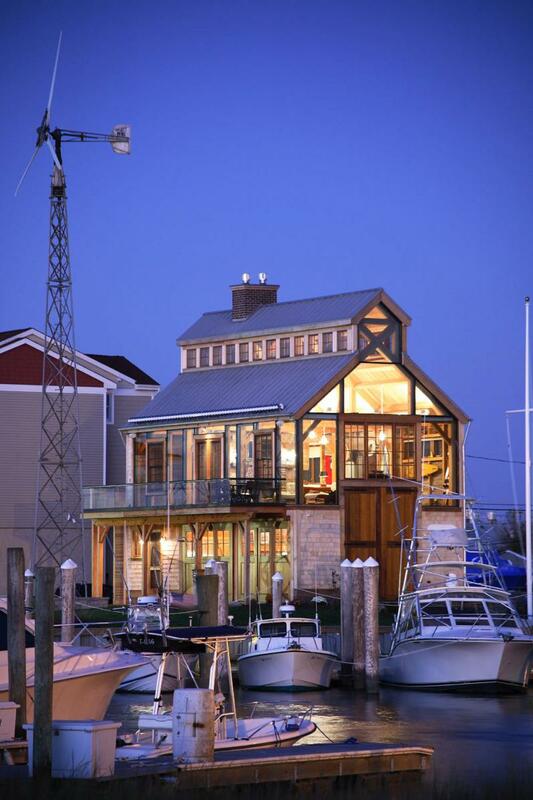 The boat house systems have been designed to optimize efficiency, reduce waste and to maximize occupant comfort. The existing windmill was retrofitted and tied to the grid because of the wind resource for the project site is fair to excellent. Copyright © 1998–2018 • All Rights Reserved.